As employees of the RIC Centre, we are often privileged to have the opportunity to be among the first to try, buy, test and review exciting new technologies invented by our startup clients. I’m the Senior Business Strategist at the RIC Centre and I’m excited to share my experience with the eMotion gesture controlled light switch by Ubiquilux; a RIC Centre incubator program graduate and client since July 2015. My partner and I moved into our new home this summer; a newly renovated semi with modern interior, hardwood floors, quartz countertops, tons of pot lights, the works. The 12 pot lights in the living room were controlled by a traditional (cheap) dimmer switch. I emphasize cheap because we eventually discovered the switch was quickly becoming too hot to touch which worried us a great deal. I remembered my conversations with Miklos Tomka from Ubiquilux about the safety features of his high-end touchless dimmer switch. Miklos generously offered me a first generation switch to replace the short circuiting dimmer that would have inevitably burned down my new house. 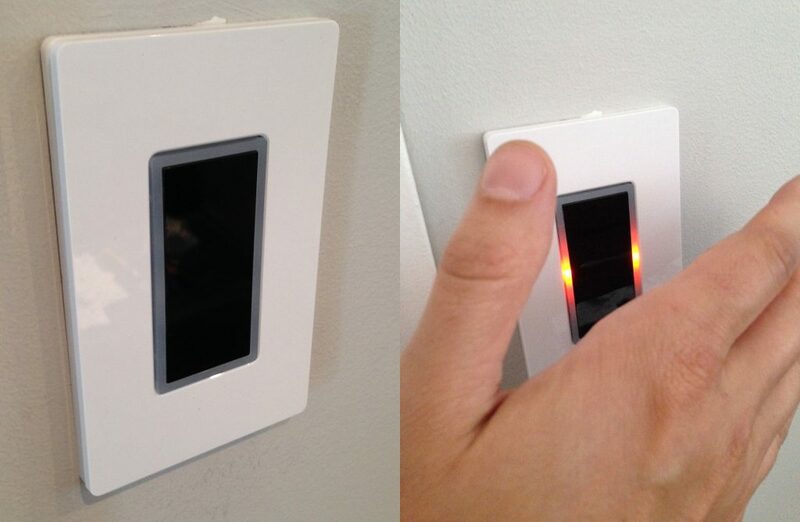 It was a perfect way to add an additional touch of class to my living room, by installing the world’s most advanced gesture controlled light switch. The packaging is clean and professional and the switch came with simple installation instructions. 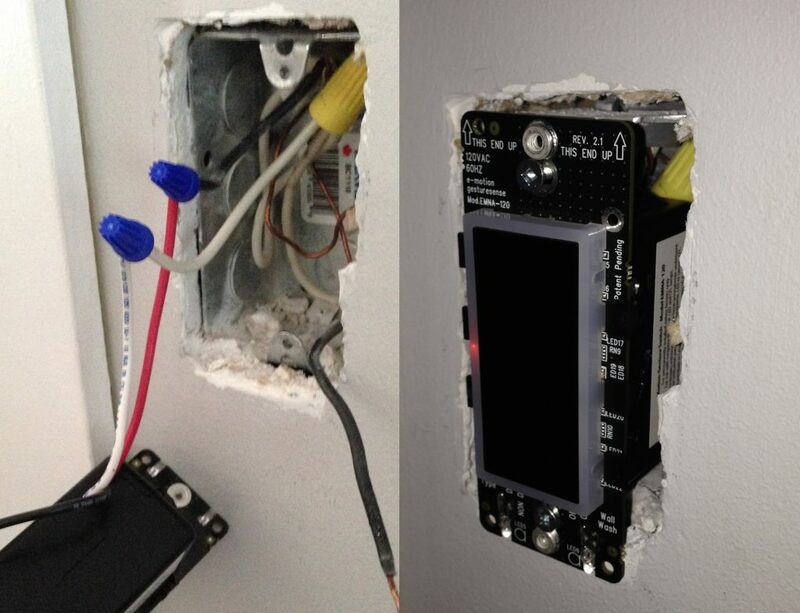 It wasn’t any more difficult than changing a standard switch or electrical outlet (no need for an electrician). It looks great on my wall, and I’m impressed that it’s a Canadian invented and manufactured product. I turn my lights on and off by waving my hand up and down, and it doesn’t get triggered by other kinds of random movement. The dimmer works great with my new energy saving LED light bulbs (unlike my previous switch which didn’t allow full dimming). I move my hand towards or away from the switch to control the level of dimming. 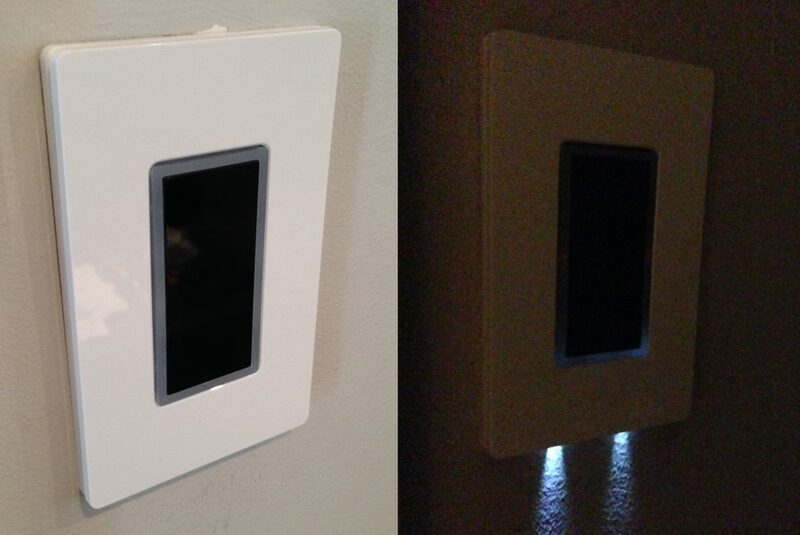 The two small LEDs on the bottom of the switch provide a wall wash feature, like a night light which looks nice when it’s dark in the room. Most importantly, the new switch easily handled the load from the 12 bulbs and there was no more overheating issue. The switch has integrated safety features to prevent fires in the case of any short circuit or other issue. I’ve been using the switch for a couple months now and I’m really happy with it. For a first generation product that’s brand new to the market, it’s really polished and sleek. I have noticed only one minor bug that’s already been identified and is being addressed in future generations of the product. The switch infrequently interacts with one of my TV remote controls, which will sometimes cause the lights to come on or turn off (the switch is right next to the TV). I’d actually be happy to have control of my lights by remote, to save me the effort of peeling myself off the couch. Overall, this is a great product for those who want to add a modern high tech feature to their home, or those who are cautious about the spread of germs (it’s touchless). What’s really exciting to me is the future products being designed by Ubiquilux. The next generation switch will be a connected smart switch, which will have the capability of integrating with and communication with other ‘smart home’ technologies (Nest thermostats, smart light bulbs, security systems, etc). With an array of sensors packed into this switch (temperature, light, motion), there are many possible use cases. Energy saving through automatic adjustment of individual lights and remote control by smartphone. 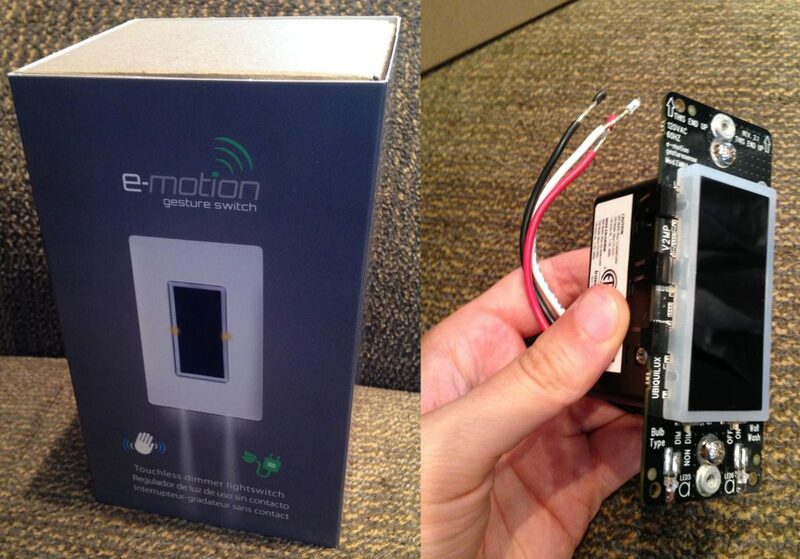 Improved security with motion detection while connected to a security system. The internet of things (IoT) has become a big deal lately, and we’re only seeing the beginning of this massive new industry. With a recent raise of $1M to acquire a complementary LED specialist company, I think Ubiquilux is well-positioned to become a leading player in the smart lighting sub-segment. 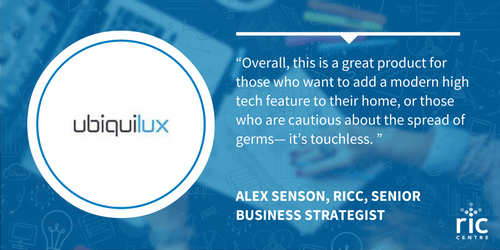 Learn more about Ubiquilux on their website or buy it here.